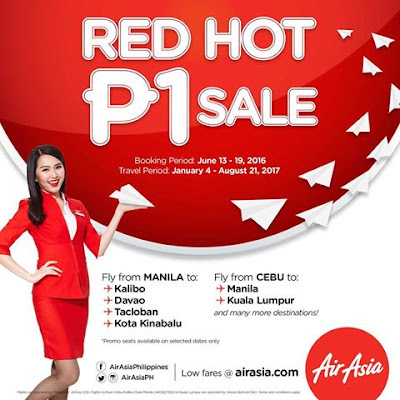 Air Asia Promos 2019 to 2020: Red Hot P1 Sale is On! Red Hot P1 Sale is On! Air Asia Promo Fare 2016: Rejoice everyone! 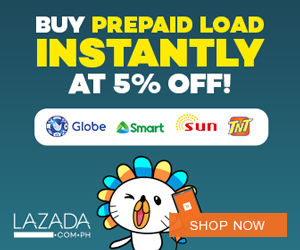 The Red Hot P1 (piso) sale is here! If you plan to visit Kalibo, Davao, Tacloban and Kota Kinabalu or Manila or Kuala Lumpur, take advantage of this promo. Take note that only selected dates are on promo too. Seats are also limited so be quick now in booking your flights with Air Asia Philippines. All-in fares starts at around Php 202. That's really very affordable!